Feel divine comfort in this Maison Du Soir™ Luella Tank Top. Scoop neckline with floral print throughout. 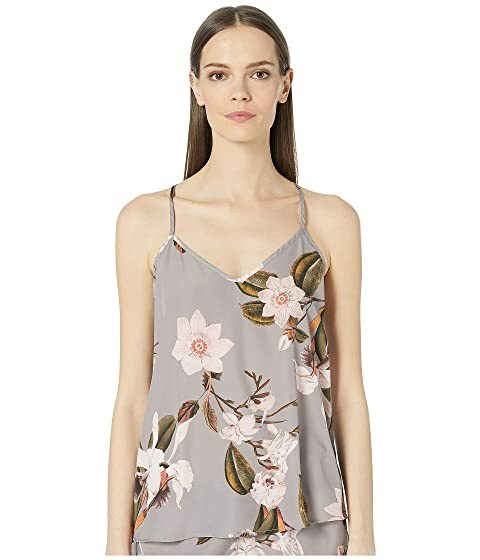 We can't currently find any similar items for the Luella Tank Top by Maison Du Soir. Sorry! I love the Luella tank and bottoms! The fit was true to size with a little wiggle room! I could have gone one size smaller and been fine but I like for my nightwear to be comfortable and not tight! The print is beautiful and I cannot wait to wear it the morning of my wedding for “getting ready” photos with my bridesmaids!